I thought I blew my subwoofer… Keyword there is thought. On my way to an AutoX event back in November I was driving on the highway to the event, listening to news radio at a low volume. All of a sudden I get a “passenger restraint system” warning on the screen… It goes away pretty quickly and I think nothing of it. Keep listening at low volume, do the AutoX, start heading home, turn on some tunes to crank and boom… Crazy rattling from the passenger side subwoofer, exactly the sound a blown sub makes. Awesome… Turn the bass all the way down in the tone menu and live with it for a while. Fast forward to last weekend, finally decide to take out the sub and start scouring eBay for a replacement. 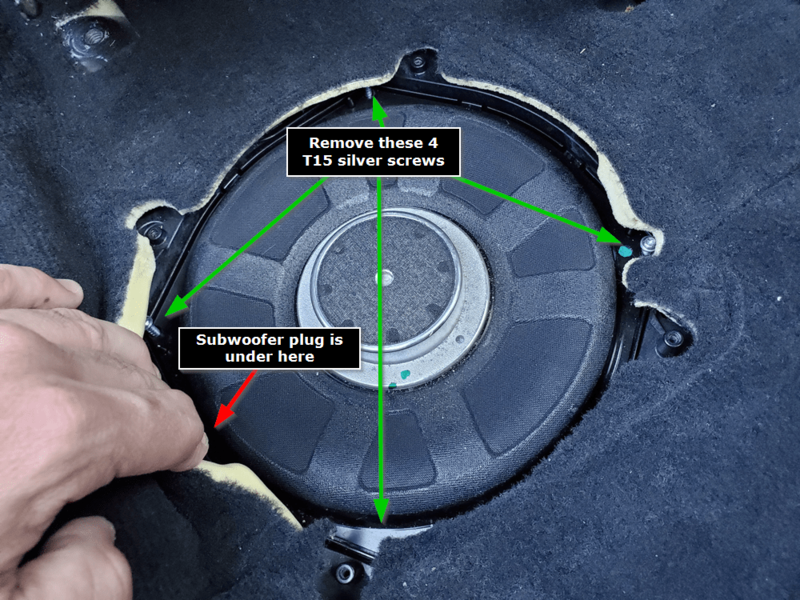 I take it out and notice this rivet in the subwoofer cavity beneath the seat. 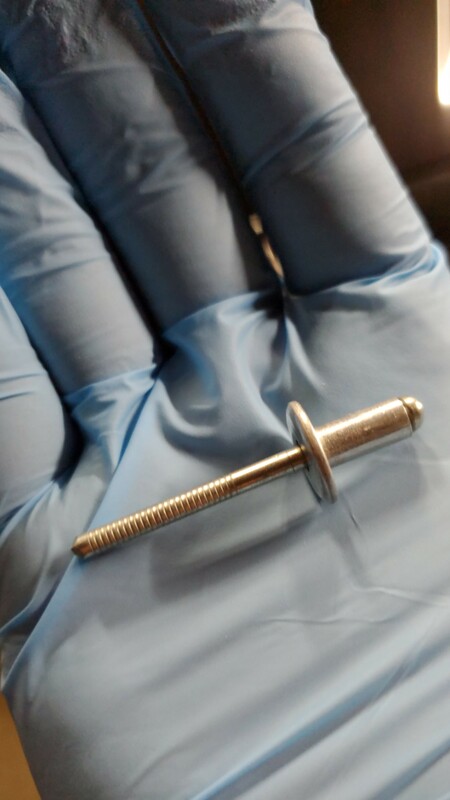 Weird but for some reason it didn’t click that the loose rivet may have been causing the rattling. I check the woofers cone movement and notice no “voice coil scratching” at all when manually moving it up and down. 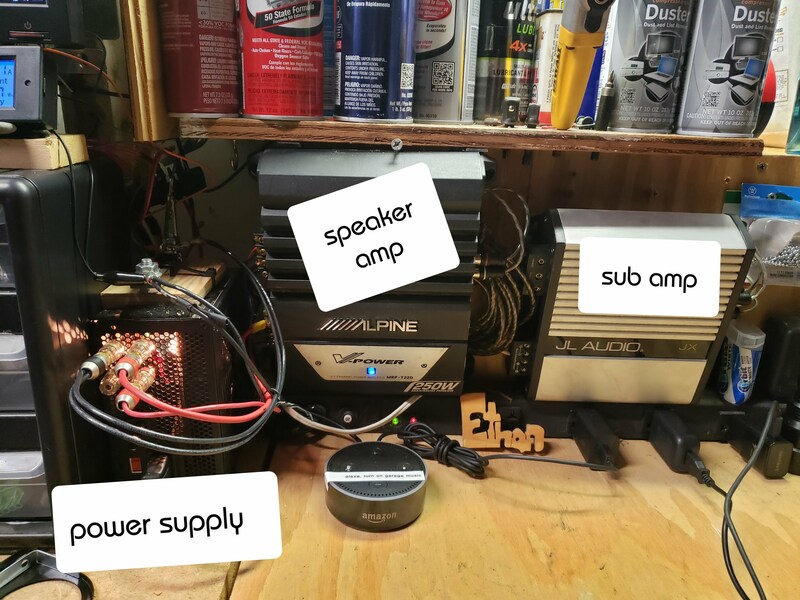 I hook the woofer up in my garage to my “car audio garage system” and it’s working fine with no distortion at all. That’s when I realized the woofers movement is all below the grill we see from above the passengers seat and this is when it finally clicked that the AutoX must has moved that rivet under the woofer and caused the horrible blown sub sound. Guess it was all just a coincidence. I thought for sure the warning I got shorted the sub out or something along those lines. 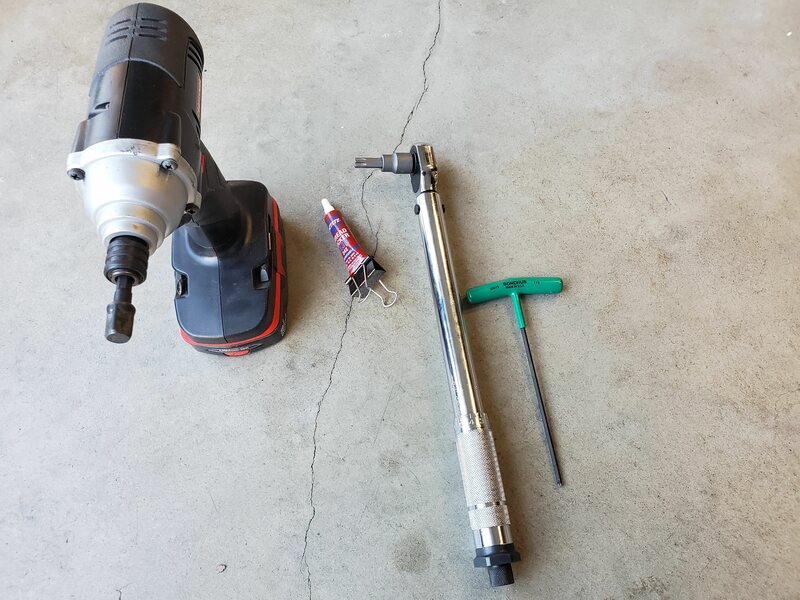 FWIW: I didn’t disconnect the battery or remove the head restraint. Also, I did not remove the seat out of the car, I just slid it back enough to get the subwoofer cover off and out. Lift the seat up a bit and slide it backwards, as far as it’ll go. 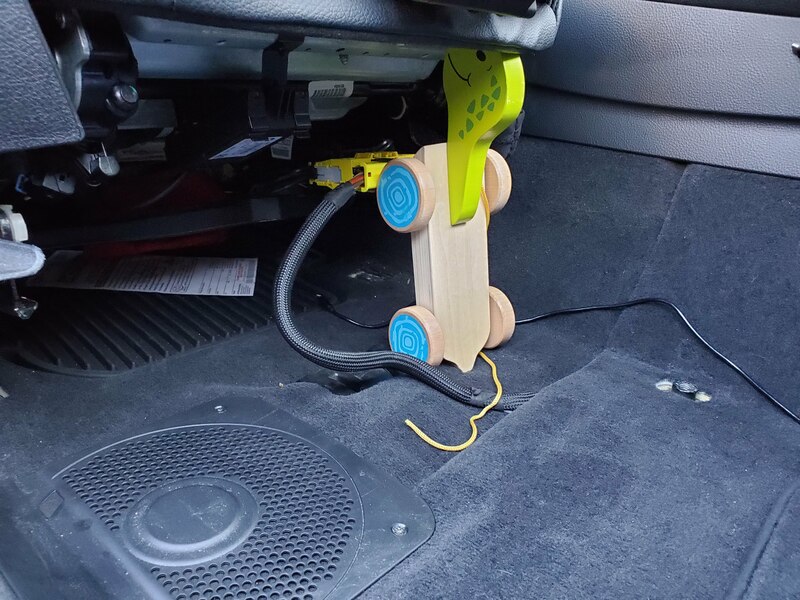 Wedge something of your choice (my daughters turtle toy worked great) under the seat enough to give you some room to get your T15 torx driver in there. 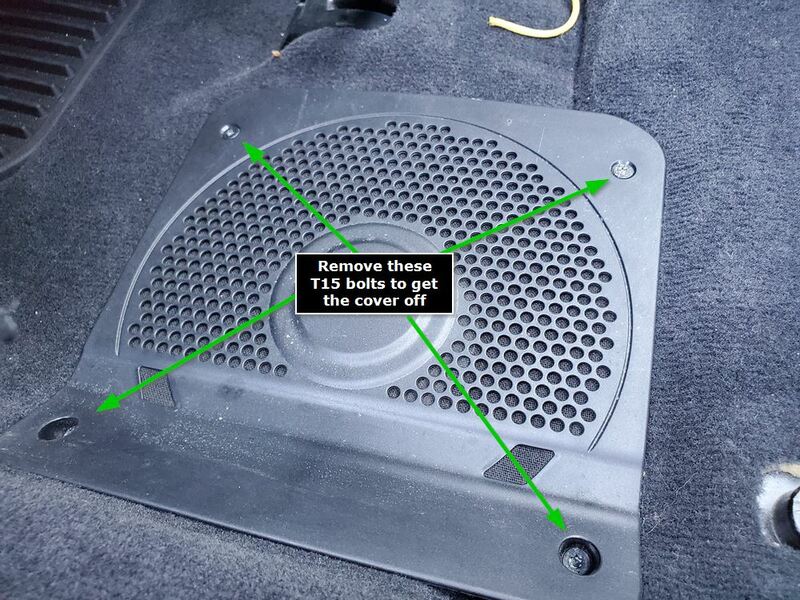 Disconnect the 4 silver T15 screws labeled above as well, and twist the subwoofer out. 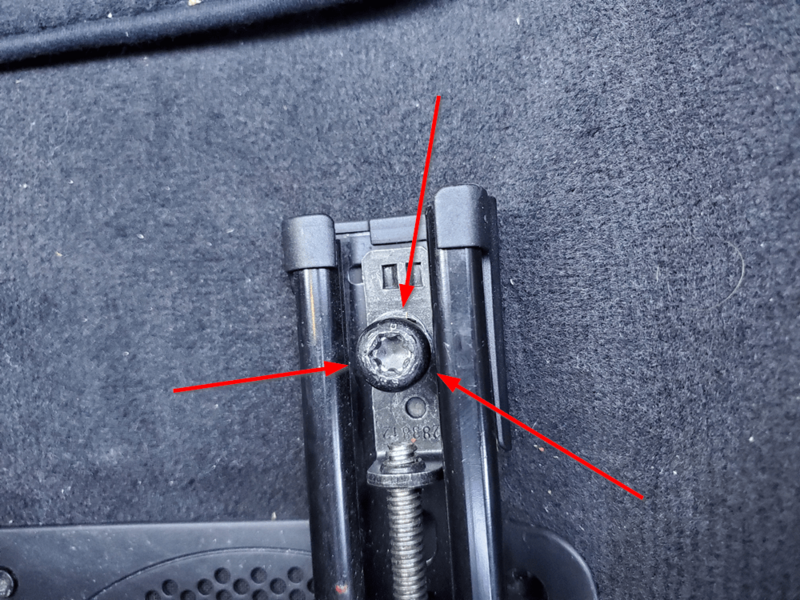 That’s about it, I didn’t replace my seat rail bolts immediately… Appears as if the dealers have these in stock at all times. I’ll do that this weekend. super job, dude. tnx heads up.